We’re back and better than ever with a brand-new episode and a brand-new Wasp! The radiant ball of sunshine made human otherwise known as Nadia is fresh out of the Red Room and eager to make her mark on the world! The daughter of Hank Pym, the original Ant Man, Nadia’s a super genius former assassin who only wants to make friends, save the world, and eat snacks. She’s stopping robbers and smashing the patriarchy by assembling a group of the greatest girl geniuses in New York! 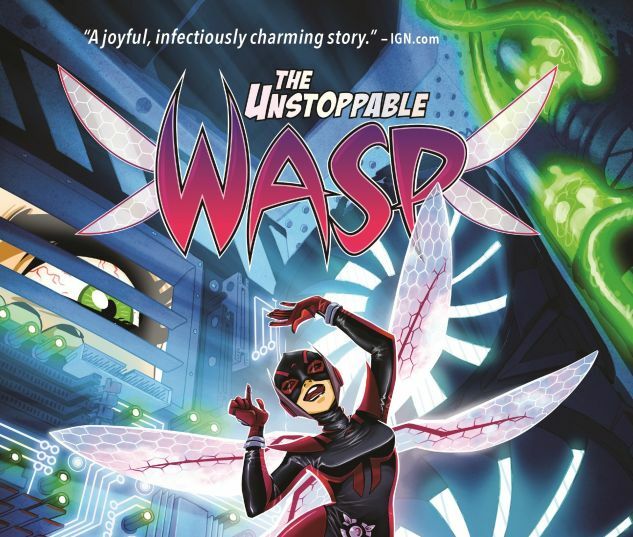 UNSTOPPABLE WASP is a breath of fresh air in the Marvel Universe, and we can’t wait to see more of her adventures! Listen to this and previous Girls Interrupting episodes on iTunes! Don’t forget to rate and review! Did you know we have a Patreon now?